In May I will be flying to the East Coast to attend a Mentorship by the Institute Of Motion. Last month my aim was to encourage you to make sure you keep hydrated well at all times. To give our bodies adequate time to recover from the daily stresses should be a no-brainer! Naturally we feel energized when it is light and we start to feel tired when it gets dark. Unfortunately due to artificial light sources nowadays, our body clocks are so out of whack that we can manage to stay up much longer without feeling tired. Also caffeine as found in coffee and artificial stimulants add on to us not getting at least 7-8 hours of rest per night. 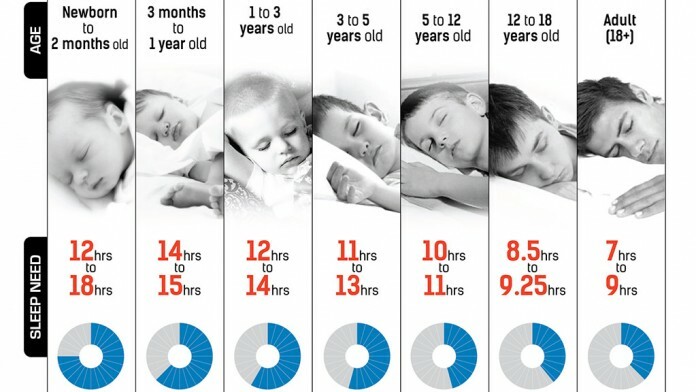 7-8 hours is a general number on which most people do function very well. However, some people are fine with less or need more. As always, you need to start experience with it and listen and feel what your body is telling you. However to get a true reading you need to stay clear of stimuli: Caffeine, TV (or any other blue light source for that matter. Blue light is very stimulating to the mind). A lack of sleep can cause serious problems: Risk of heart disease, risk of diabetes, weight issues, impaired immune system, risk of depression and anxiety, shortening of attention span, blurred vision, slurred speech, difficulty making decisions or performing tasks of any kind! However, for this month give it a shot and put a routine in place: Be asleep before midnight; Get up when it gets light (earlier if you have to to fit your schedule); turn off the TV and any other electronic devices; do something soothing and relaxing for the soul before going to sleep rather than something that wires you up. This is the Superficial Front Line (SFL). As you can see the connective tissue of the SFL connects the entire anterior surface of ones body. As with the SBL, the SFL is really more than 1 line, in this case 3: One going up each leg into the hips, and one going from the groin all the way up to the back of the skull. In an upright position however, those lines work as one continuous line, but more on that later. What does the SFL do postural? The SFL balances the SBL, provides tensile support to the pubis, rib cage and face (against gravity as these parts of the body stick out over the bodies center of gravity), and it maintains extension of the knees. Looking at the pictures of the SBL and the SFL it seems only naturally to draw the conclusion that these lines work together in a fine balancing act between flexion and extension, or upward and downward response speaking in facial terms. What does the SFL do in movement? In terms of movement the SFL creates flexion of the trunk and hips, extension of the knees as well as dorsi-flexion of the feet. At the neck it performs more complex movements which I will highlight later on. Working together the SBL and the SFL mediate movement in the sagittal plane. As mentioned above the SFL has an overall upward response. This means when it functions properly it pulls the pubic bone up towards the ribs for example, and the ribs up towards the head (upright). Often though we see the opposite with anterior tilts of the pelvis as well as forward rounded shoulders. Furthermore there can be limitation in the plantar-flexion of the ankle, hyper-extension of the knee, breathing restrictions and forward shifted heads. There is a lot to talk about with the SFL, but I will only pick one point as the others will most likely come into play when the other lines are discussed, as the SFL interferes with most of them. Look at the fascia when it comes up through the sternocleidomastoid (SCM) muscles into the back of the skull. It does not stop there but rather forms a sling around the back of the skull. When going into any kind of back bend intending to work the SFL it is therefore important to note that the head should be tilted backwards, but rather the chin should be kept close to the chest with the neck shifted back to create a lengthening through this top part of the SFL (often other muscles like the scalenes need some work done for the SCM to fully be stretched though….it is a tricky one!). By extending the head backwards we actually shorten the SCM muscle and therefore relax the SFL. In terms of mobilizing , simply keep it moving: Go into the stretch and come back home, and go in, and come back home and again and again…. see the video for clarification. I hope again all this will explain a bit more why I always work the front of the neck and shoulders when you experience back pain. Or why I work on the front of the hips when you have lower back pain. It is because I want to give the body its best shot at reorganizing itself by loosening not just the area that screams, but also the areas that are just as involved but just cope well enough not to complain. It is often the areas that are stretched to its max that start creating pain. Because if they don’t get attention, they will not last much longer. 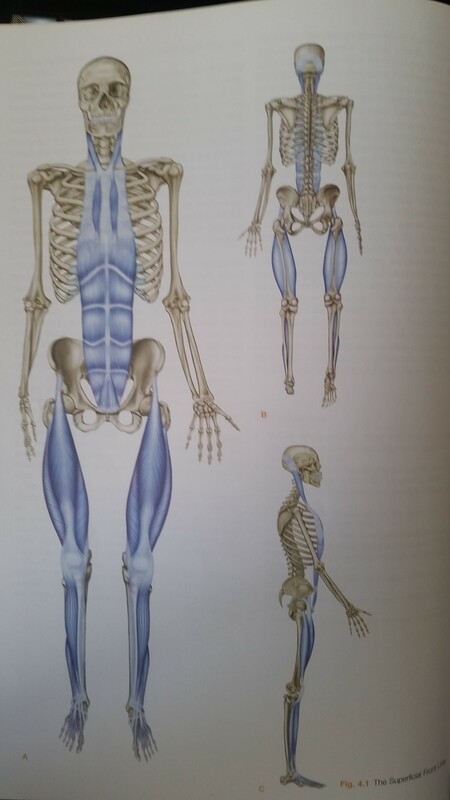 We call this an eccentrically loaded muscle, or a long locked fascia. 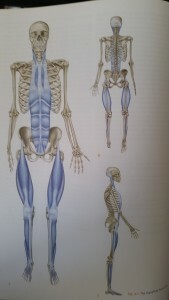 The opposite to this is a concentrically loaded muscle (bunched) or short locked fascia. Yes, soup! Not juice or smoothie. If you haven’t noticed yet, it had gotten cold out there already, and I need stuff to keep me warm. This month we have the good old Potato and Leek Soup! cut into pieces, put it into a pot and fill with water so all is covered, cook till soft, then blend. Add spices to your liking. Nutmeg is very nice with a touch of cinnamon for a really comforting warm taste. Just caught up with your last two posts, very interesting. On sleep hours, seasonal adjustments seem apt, wonder if winter makes us want to hibernate? Soups a great idea for keeping cosy, thanks for reminding us, & so easy to make!